Syrian air defense and Russian S-300 surface-to-air missiles? Russia Today (RT) has reported that Russia suspended the delivery of the SAM-system (surface-to-air missile) Type S-300 missiles to Syria. It was not known before, that there was a contract for the supply of such systems to Syria. The information, that it is apparently like this, comes from the annual report 2011 of the engineering plant Nizhny Novgorod, where the S-300 surface-to-air missiles are assembled. At present, more than 10 contracts are for the supply of products and services at the stage of implementation. The largest of these are contracts for the supply of S-300 systems to Algeria – Contract volume of 39 million U.S. dollars – and Syria – Contract volume of 105 million U.S. dollars. These products should be delivered in the course of the year 2012 to the beginning of the year 2013. The origin of the information about the stopping of the delivery of the S-300 surface-to-air missiles is vedomosti.ru, but however, it is simultaneously reported, that the delivery of other weapons technology – particularly anti-aircraft missile systems, medium-range type “Buk-M2”, and the systems Panzir S-and Pechora-2M (a modification of the S-125, which is suitable for use against cruise missiles) – continues further or was already delivered. Apparently, the Kremlin has decided to stop the delivery of the most powerful air defense system, developed by Russia, to Syria, in order to do a favor for the West and Israel, like it has already happened in 2010 with the supply of S-300PMU-2 (NATO-Codename: SA-20B; US-DoD-Name: SA-20B) to Iran – although there are no international sanctions which hinder the delivery of such weapons systems; the same counts for the delivery of the S-300 surface-to-air missiles to Syria, which is not restricted by sanctions; as it was stated by a manager at a defense contractor. It is difficult to assess whether this information complies with the truth, but if they take at face value, one can draw an interesting conclusion. Weapons systems are a tool. For some conditions, they are good, for others, they are less well suited. 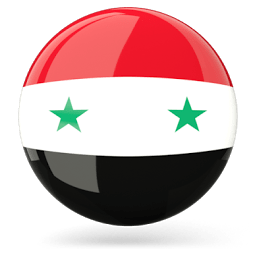 It is well within the bounds of possibility that the peculiarities in Syria – short distances and rather flat terrain – dictate the special tactics in the air defense of the country for the event that it is under a massive attack by cruise missiles and by the air force of an enemy. For ambush positions, it would be typical to use the tactics “attack – retreat” – of course, the maximum mobility and maximum cover of the air defense is the most important condition for this tactics, while it does not matter, how “chaotic” all these systems can be installed in the entire country and also in all possible directions for upcoming air attacks. It is conceivable; therefore, truly quite possible that such a tactic – smaller air defense systems with its own radar, which attacks enemies from a short distance and then quickly regroups – is more useful under the conditions in Syria, where the military airports of the enemy are in the relative near the Syrian border. Therefore, it is possible that Russia, related to the S-300 missile system, whose benefits would be questionable under the circumstances, has relented to the pressure from the West, but Russia continues to delivers the more effective air defense systems to Syria. The NATO countries are characterized by a very cautious relation to their planes and pilots. In the event that the Syrian air defense is able to neutralize enough goals, the enemy could possibly start to rethink. At the same time, an air strike against Syria without prior elimination of the Syrian air defense system is unlikely, and the air defense of a country is the total of all air defense systems that need to be coordinated. In this context, one can certainly also see the test of the Syrian air defenses by the Turkish F-4 Phantom fighter jet. Possible correlations with the Syrian MIG 21, which has previously fled to Jordan, can be read here (German).